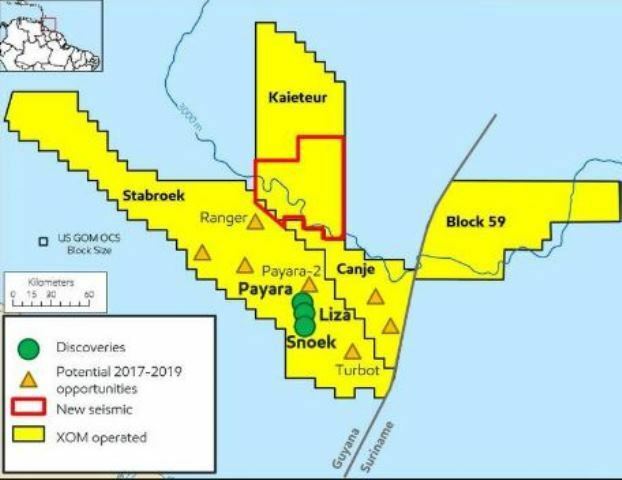 A recent discovery of high quality sandstone reservoir has taken Guyana’s estimated number of recoverable barrels of crude oil well over 5.5 billion. The discovery, in the Yellowtail-1 well, is the fifth and largest discovery in the Turbot area of the block. The Trump administration is all about forcing open overseas markets for U.S. businesses. With the oil giant ExxonMobil preparing to drill and export oil off the coast of Guyana, U.S. diplomats are working to empower U.S. businesses to develop industries in the small South American country, where an anticipated oil boom is expected to generate unprecedented profits. According to the State Department’s 2018 Investment Climate Statement, Guyana is becoming an attractive location for international investors. Future drilling by ExxonMobil “would generate billions in revenue for the country and could potentially transform the social, political, and economic landscape,” the State Department reported. NABI/KCL Oilfield Construction Services Guyana today said it has been awarded the contract to build the new office facilities of Esso Exploration and Production Guyana Limited (ExxonMobil Guyana) at Ogle, East Coast Demerara. The market for oil is volatile. The transition from petroleum to renewables is in full swing, and global demand for oil could fall faster than predicted. [Online until: April 17, 2019]. 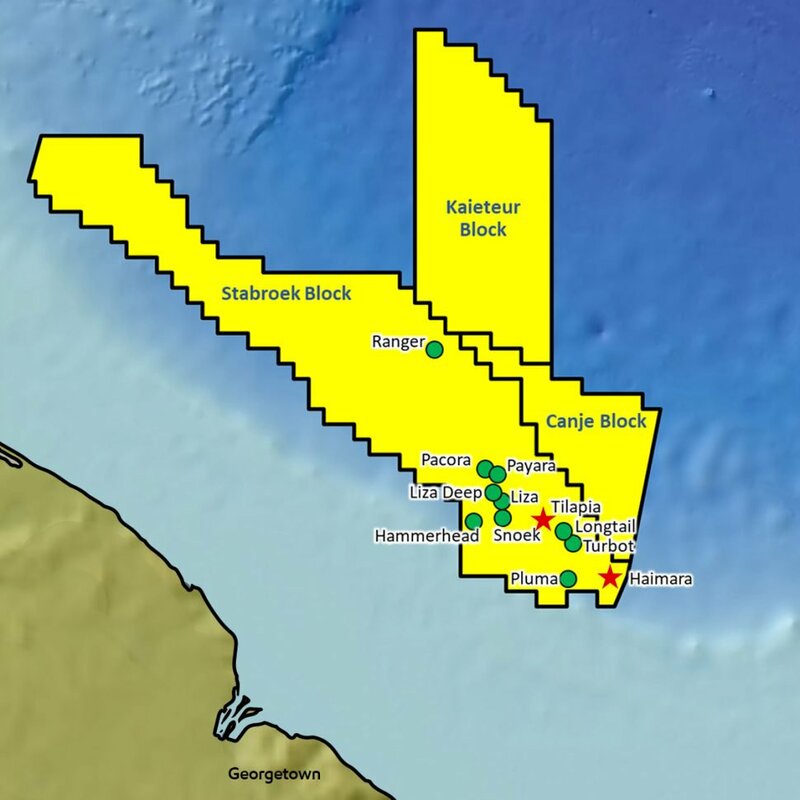 Given ExxonMobil’s prolific finds in the Stabroek Block, Guyana is in line with its 2025 timeline to produce one million barrels of oil per day. This was recently noted by Finance Minister, Winston Jordan. He was at the time delivering remarks at the opening of the Prospectors and Developers Association of Canada (PDAC) Convention in Toronto, Canada. Guyana is not a mature democracy. After more than 50 years of independence, we have not reached the point where our political, partisan and ideological disagreements and conflicts are played out within the context of the rule of law, constitutional supremacy and protection of civil rights and liberties. While factors such as the hyper authoritarian instincts of leaders thrown up by the political culture, the personalization of power and the paramountcy of the party are key to that outcome, it is our ethnic competition that ultimately stands in the way democratic maturity. It is not that democratic instincts do not exist in our political culture, but ultimately it is the authoritarian instinct that always wins. Whatever the outcome of Venezuela’s political crisis, the Caribbean region will not be the same again. If the Nicolas Maduro government survives, or if the US-backed interim leader Juan Guaido is installed by US military invasion, the region will become infested with foreign military presence for a very long time because the conflict is all about who should controls the largest oil deposit resources in the world. 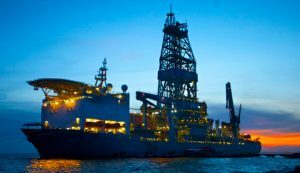 ExxonMobil said today that it had made two additional discoveries offshore Guyana at the Tilapia-1 and Haimara-1 wells, bringing the total number of discoveries on the Stabroek Block to 12.